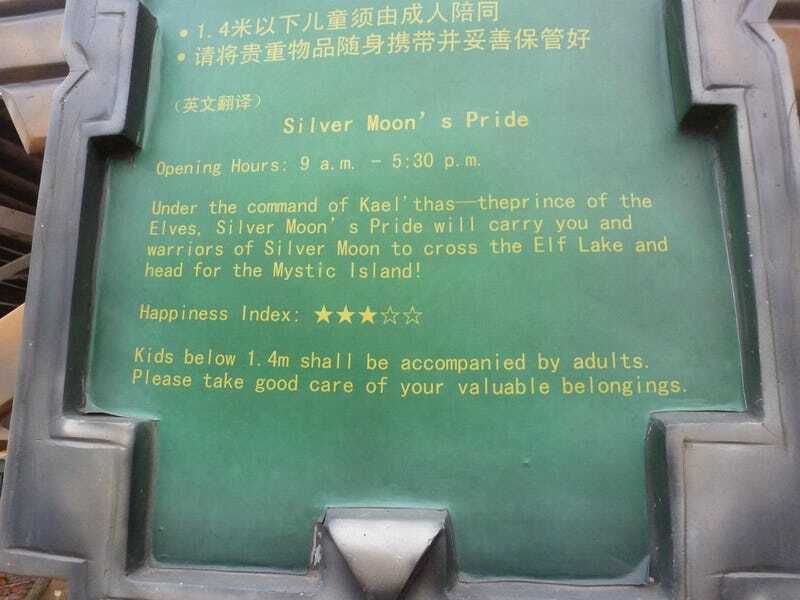 This weekend Redditor FrancescaO_O paid a visit to Joyland, the World of Warcraft-themed park in China, and reported back with this amusing picture. Each ride comes with a five-star happiness rating! That's most likely a broken English translation, where "happiness" is meant to reflect the ride's thrill level—as in, a five-star ride has more drops, loops and other stomach-plunging features, with a one-star ride being more for the kiddies and old folks. But it's nice to think that a theme park would try to guarantee the actual happiness you'll have there.